It’s been a staple of severe weather events for a long time. 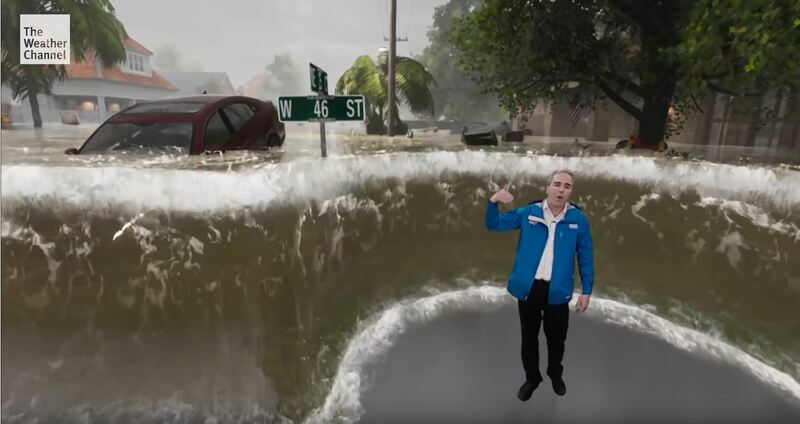 If you want to demonstrate the effects of a hurricane, you put a journalist in the weather during their live broadcast. What better way to show wind and rain and waves than to have some TV news anchor clinging to a pole and being pelted by the rain while he stares into a rain soaked camera lens? Well, the Weather Channel has come up with a much more effective and dramatic way to demonstrate a hurricane’s wrath. Check out the sound and video effects.